Join Matthys Levy for a talk on his new novel, Building Eden. Join us to celebrate the launch of Yvonne Daley's Going Up the Country: When the Hippies, Dreamers, Freaks, and Radicals Moved to Vermont. This event will feature live music of songs from the era, and artwork - including photos of and arts and crafts made by some of the people profiled in the book - will be on display. Light fare provided. Join Richard Nevell, author of A Time to Dance, for a discussion on the evolution of country dancing in America and the social experience of dance, an art form that has the power to unify us in increasingly divisive times. 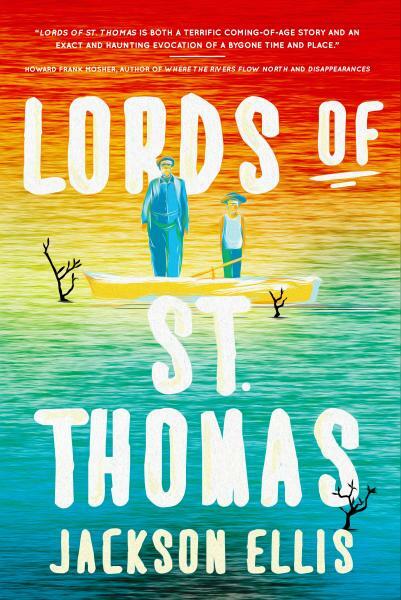 Join Jackson Ellis for a talk on his new novel, Lords of St.
Join April Ossmann and Cynthia Huntington for a poetry reading at Phoenix Books Rutland. Join Sarah Ward for a talk on her new young adult novel, Aesop Lake. Join Peter Shea for a talk on his new book, The New Atlas of Vermont Trout Ponds!